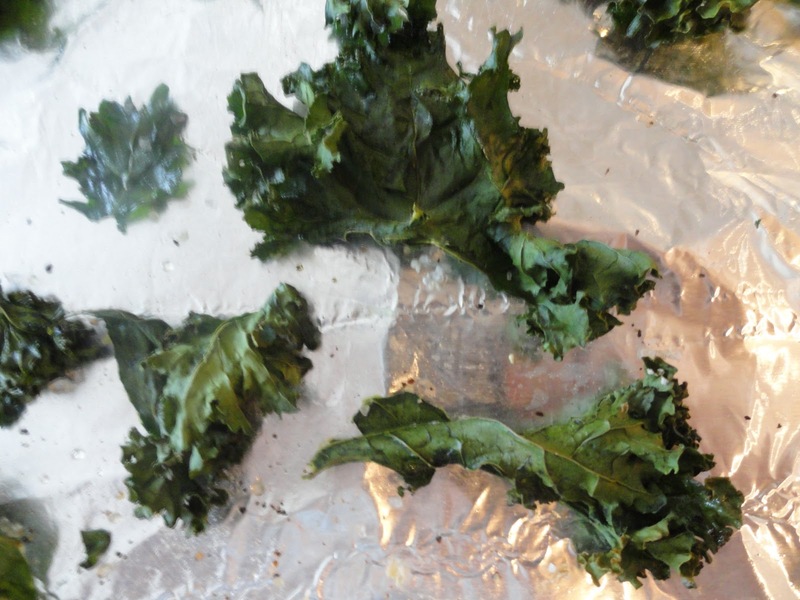 Unless you have been living under a large rock for the past few years, you are likely familiar with the health food turned hipster snack craze of kale chips. And, let me just go ahead and tell you- they are worth the hype. I, for one, am borderline obsessed with the crunchy green delights despite the fact that my kitchen stinks for days after a batch. The greatest things about kale chips- they are both healthy and delicious! My recipe is easy to follow and sure to please any crowd. Preheat oven to 425. Line cooking sheets with tin foil (less mess= easier clean-up for you!). Tear kale leaves from ribs and into bite sized pieces. Toss in a bowl with olive oil, salt and pepper. Place on cooking sheets and make sure that the pieces don't overlap. Cook for 40 minutes, turning once at 20 minutes. Sprinkle with Garlic Gold and dip in ketchup for a yummy treat! I must be under a big rock. I had not heard of these before. sounds delicious-and a great way to get your veggies-I would love to try to make these-what is garlic gold? yes i LOVE kale chips! i also will stir fry my kale with other veggies or with fish. i def have fallen in love with kale b/c you can do so many diff things with it! 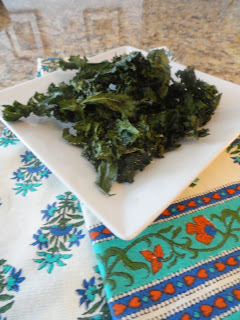 It is a very good point that these leafy green kale chips are all the rage now. A lot of people are eating them and they are really quite popular. Thank you including the recipe on how to make them. This will be a big bonus to game night in our home. Thank you for the recipe i will try it in my home. Thanks for sharing. Amazing Blog..thanks for sharing this i will try this receipe later in my home..